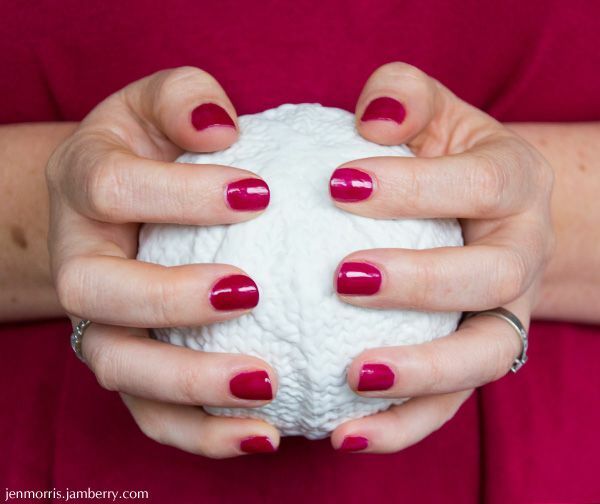 a thousand words: What is Jamberry? 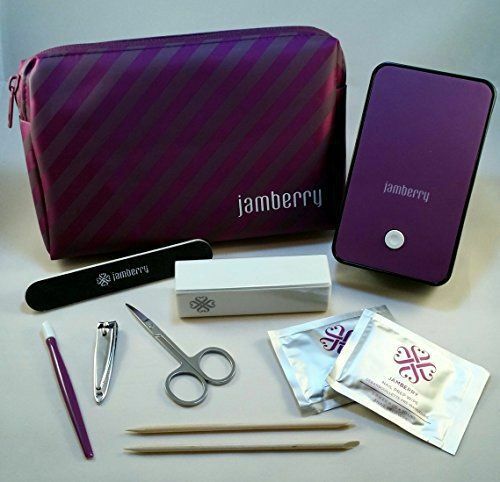 In April I signed up as Jamberry independent consultant. You have seen bits and pieces here on my blog, Instagram, and Facebook, and for those of you who watch my vlogs you'll have heard me mention it here and there. But I've never actually sat and talked about it. I've just done so in two videos - this one and another one coming soon. But for those of you who don't want to or can't watch the video, I thought I'd summarise it in this blog post. So what is Jamberry? It's a direct sales company, which means that you hear about and purchase the product from independent consultants like myself. Other direct sales companies you might be familiar with are Tupperware, Nutrimetics, Scentsy, and Pampered Chef. Direct sales companies are not pyramid schemes (which are illegal! ), for reasons I talk about in my video. 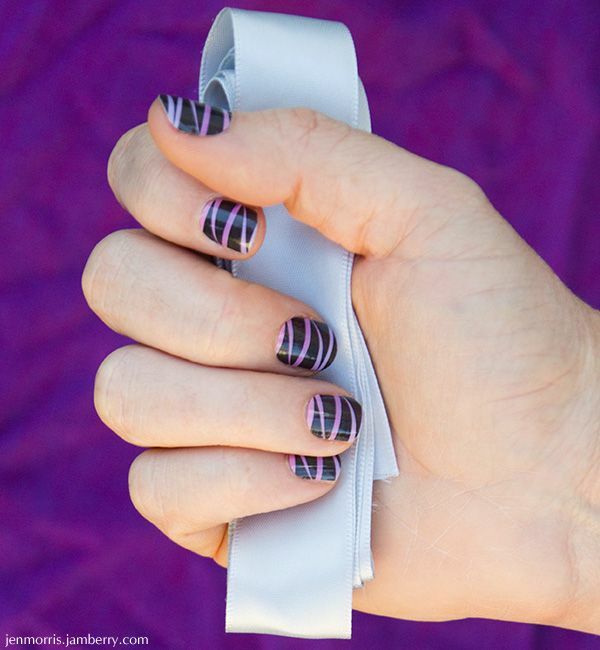 The product that Jamberry is most known for are our vinyl nail wraps. They are these amazing vinyl shields that you apply to the nail with heat and pressure (see my application video here) and they last on fingernails for up to two weeks and on toenails for up to 6 weeks - I recently removed a Jamberry pedicure that had been on my toenails for 6 and a half weeks and still looked great; I only removed it because my toenails had grown and I wanted to cut them, and there was a gap between the base of the wrap and my cuticle because of the growth. That's pretty amazing for a pedicure you can do at home! There is NO dry time and no chipping. The no dry time thing is my favourite - you can go about your day immediately after doing your nails and not worry about them smudging. 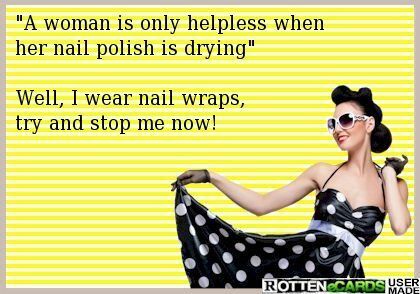 They are also cheaper than salon manis and pedis - each sheet costs NZ$24 / US$15 / CA$17.50 / AU$22 / £15 and will yield two full manicures, two full pedicures, and at least 8 accent nails. PLUS they are buy-3-get-1-free, which brings the cost per mani / pedi down even further. Bargain! So they last so well on the nails, which might bring up a couple of questions: what exactly is in them (are they toxic?) and how do you get them off? To answer the first question, they are non toxic and have none of the 5 top cancer causing chemicals that are found in nail polish (Toluene, Formaldehyde, Dibutylphthalate (DBP), Camphor and Formaldehyde Resin); they are vegan and cruelty free, gluten free, latex free, and made in the USA. They are safe for use on children as no harmful chemicals will enter the bloodstream the same way as happens with nail polish. As for how to safely remove them without damaging your nails, I made a video showing just how quick and easy it is. You can see it here. 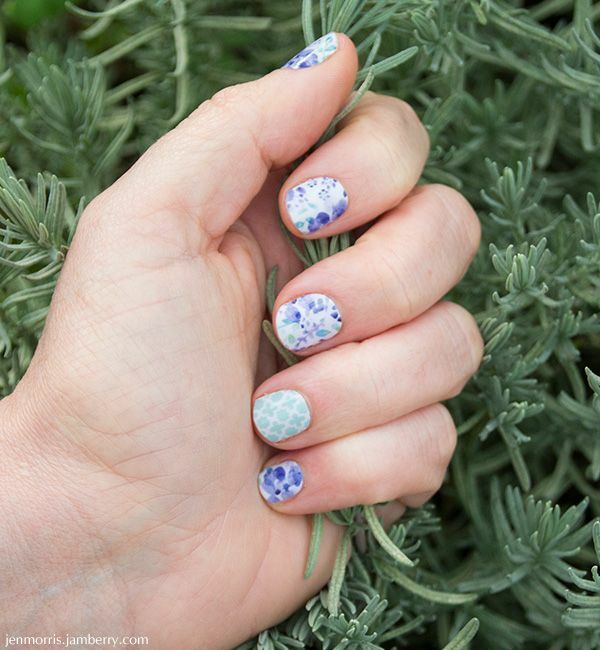 So you might be loving the patterns and designs, or you might be put off by them and prefer plain nails - look no further! With over 300 designs including solids and very subtle patterns, transparent lacy detail or bold and bright prints, in finishes like glossy, matte, sparkle, metallic, and a mix of the above, there really is something for everyone. There is even a juniors range, designed for little fingers! Here you can see how a sheet of junior wraps compares to a sheet of adult wraps. I'm actually wearing the above wraps, called Ribbon Dance, right now, here is how they look on. 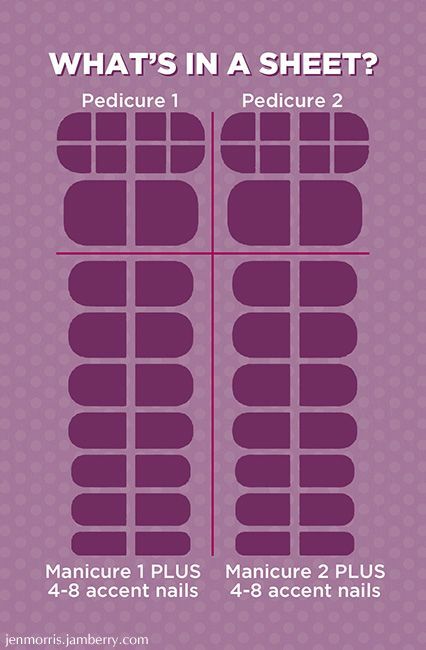 Have you ever tried Jamberry nail wraps? 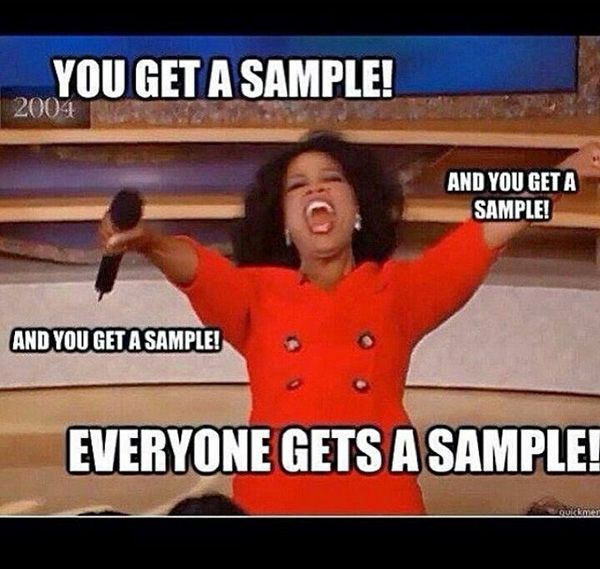 I would love to send you a free sample to give them a whirl! No hard sell, no strings attached, I just want to see what you think. You can find my email address on the contact page of my blog - drop me an email with your address and I'll pop a sample into the post for you to try (offer open to US, UK, Australia, Canada, New Zealand residents). 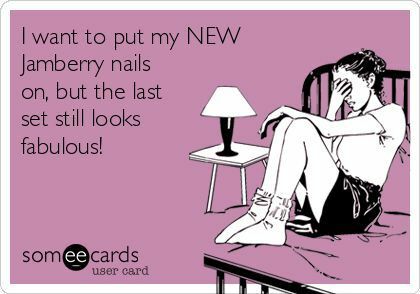 So is Jamberry just about nail wraps? Nope! We also have the tools that make it easy to apply your wraps. Our mini heater is silent, compact, the perfect temperature, doesn't blow everywhere, and has a velvet grill so you (or your little ones) won't get burnt should you touch it. Did I mention SILENT? You can do your mani while you are watching a movie and it won't disturb anyone. Of course you can just use your hair dryer, but the heater makes things so much easier and more convenient, as does our application kit. It contains a buffer, file, scissors, rubber cuticle pusher, nail prep wipes, and orange sticks and all of that comes in a pouch that can also hold your heater and sheets of wraps - how convenient! Besides the above we also have hand care products like our Nourish hand creme (which I featured in my June Faves and Fails video as a favourite because I love it so much), and Indulgence pamper kit; and for those of you who just like to paint their nails we have lacquers. These are also 5 free and they are more opaque than regular polish, dry quicker, and last longer. Speaking of lasting longer, if you are into gel nails you can do your own with the Trushine gel enamel system, which includes the LED UV lamp, nail prep goodies, base coat, top coat, and a colour - and of course there are more colours to purchase, and you can buy the gel system bits separately. Here is a gel manicure I did using the kit - this colour is called Black Cherry. And yes, the gels are also 5 free. Okay, so that is a whole lot of info about the wonderful Jamberry products, I'll be doing a post and video soon about what it's like working as a consultant, so stay tuned for that. In the meantime, here are a few more "jamicures" that I've been wearing lately, and if you would like to check out the products please feel free to browse my Jamberry website, which you can find HERE. 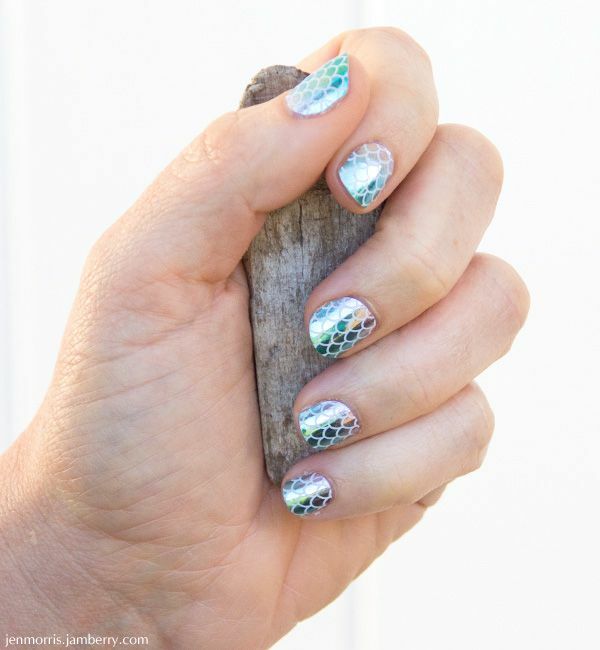 For up to date news and offers please Like my Jamberry Facebook page here, and if you want the inside scoop with sneak peeks and a chance to win little giveaways and first option on special offers join my VIP closed group here.